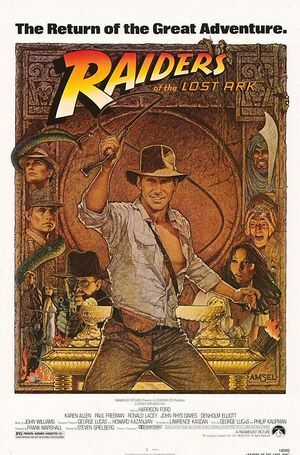 Theatrical poster for Raiders of the Lost Ark. Famed relic hunter and archeologist Indiana Jones is hired by the US government to find the Ark of the Covenant before the Nazis do. NC13075. A biplane with water pontoons, used by Jones to escape from the pursuing Hovitos tribesmen in South America. False registration OB-CPO (a reference to the Star Wars characters Obi-Wan and C-3PO). Jones flies from the States to Nepal in the Short Solent. Used by Jones and Marion Ravenwood to fly from Nepal to Egypt. The Nazis attempt to transport the Ark from Tanis to Germany via this airplane. Following an attempt by Jones to board it, it is destroyed in an explosion. Read the discussion tab. This page was last modified on 3 January 2018, at 15:58.